Armani phone (SGH-P520) from Samsung Mobile has shown up during the Dutch’s mobile phone distribution event. 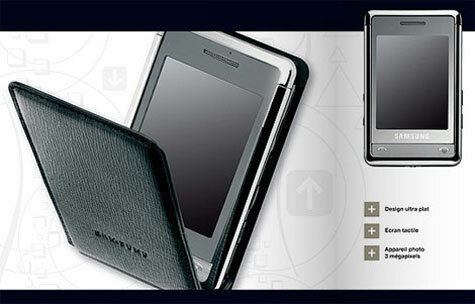 This is Samsung’s first mobile phone developed with an international fashion leading brand. I assume this mobile phone was developed without plans to join Armani in the first place. However, this changed because LG came out with the Prada Phone and received a great deal of attention and feedback from consumers all over the world, becoming one of the best mobile phones in 2006. This situation has made Samsung find a way to compete against LG to keep its high-end market customers.